Today's armed forces have to be able to perform in a multitude of different roles: defending national and allied territory but also taking part in stabilization missions and providing humanitarian assistance in remote corners of the globe. One thing all of these missions have in common: the need for reliable supply lines. Modern logistic vehicles thus have to meet a wide range of performance criteria when it comes to robustness, versatility and reliability - no matter how bad the roads or tough the terrain. Increasingly important, too, are flexible and scalable protection solutions for keeping crewmembers safe from a variety of rapidly evolving threats. Made by Rheinmetall MAN Military Vehicles, the heavy-duty trucks of the TGS, TGM and HX series meet these criteria. 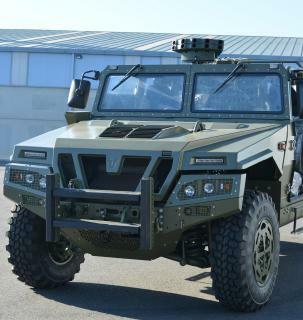 Rheinmetall is showcasing a TG militarized and a HX military truck at IDEX 2019. The TGM and TGS model series are based on the globally proven MAN Trucknology generation. At the cutting edge of commercial truck technology, they set the international standard for robust design and innovative engineering. Originating in large-scale production runs, they have already put in millions of development kilometres. 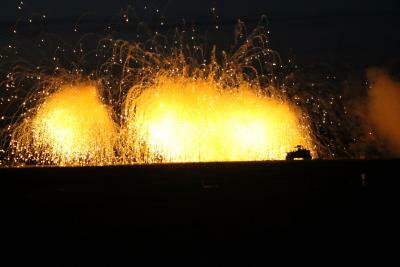 Vehicles destined for the world's armed forces and security services are hardened to stand up to demanding conditions. TGM and TGS both offer an excellent price-performance ratio and are superbly well suited for civil use and military operations alike. The versatile TGM-MIL and TGS-MIL vehicles can operate in all climatic zones at temperatures ranging from -32°C to +49°C. As NATO mobility class 'C' logistical vehicles, they combine excellent off-road performance with a fording capability of up to 75 centimetres. Tried and tested, their multi-fuel engines can run on diesel with up to 3,000 ppm, as well as fuels like F34, F54 and D-50. Their heavy carrying capacity enables a wide array of different superstructures. Most of these are commercial off the shelf systems, and thus safe and easy to operate. Possible configurations include hook-lift/interchangeable pallet carriers, cargo vehicles, dump trucks, mobile cranes, fire-fighting vehicles, tankers for fuel or water, troop carriers maintenance vehicles and recovery systems. All of these configurations have proven highly effective in all climatic zones. The vehicles are therefore extremely well equipped to serve in a disaster relief role, too, meeting the full range of requirements for dual use vehicles. Last but not least, TGM and TGS vehicles are economical to operate. Today the armed forces of over fifty nations place their trust in these trucks, more than 80,000 of which are in service worldwide. The latest generation of HX2 vehicles from Rheinmetall MAN is the outcome of decades of experience in developing, building and servicing military vehicles. With some 10,000 vehicles now in service around the globe, the HX2 numbers among the world's most widely used military trucks, with abundant operational experience. The HX2 family comes in variants ranging from 4x4 to 10x10, configured for a multitude of different missions: cargo trucks and heavy-duty recovery vehicles, tankers and system platforms as well as folding-road and bridge-laying systems. The engines that power these trucks are designed for outputs of up to 680 HP. The vehicle family concept results in largely identical modes of operation, maintenance and repair as well as spare parts, leading in turn to lower lifecycle costs. Moreover, Rheinmetall MAN also offers full service support, all from a single source. Adhering to a strict military-off-the-shelf (MOTS) approach, Rheinmetall MAN uses proven, reliably modified mass production components in the HX family, specially designed to meet military requirements. This results in made-to-measure military vehicles that deliver maximum cost-effectiveness. A crucial characteristic of these vehicles is the robust chassis design, enabling inclusion of systems providing scalable levels of protection. Featuring the highest front axle load in their class, the vehicles can handle heavily protected crew cabs which can also be equipped with an optional NBC ventilation system. Furthermore, the cabs can also be equipped with integrated command and control systems, connections to soldier systems, remotely controlled weapon stations, jammers, active defence systems (ADS) and fast-acting smoke/obscurant dispensers. From the outset, the HX trucks are designed not just for maximum robustness, payload capacity, mobility (tyres up to 16.00R20) and an all-terrain capability, but also to operate at temperatures ranging from -32°C to +49°C. It is also possible to fit C4I systems without major conversion work, while their electromagnetic compatibility exceeds that of all other trucks on the market. Other special capabilities include a standard fording depth of 1.5 metres without prior preparation. Moreover, the state-of-the-art engines that power these trucks feature full F34 compatibility in accordance with the NATO single fuel concept. Among others, the armed forces of the United Kingdom, Australia, New Zealand and Denmark number among the current circle of RMMV vehicle users. Norway, Sweden and Germany have all placed significant orders with the company as well, with the first vehicles already entering services. Particularly when it comes to multinational operations, the widespread use of RMMV vehicles around the globe offers major advantages with respect to interoperability and logistics. 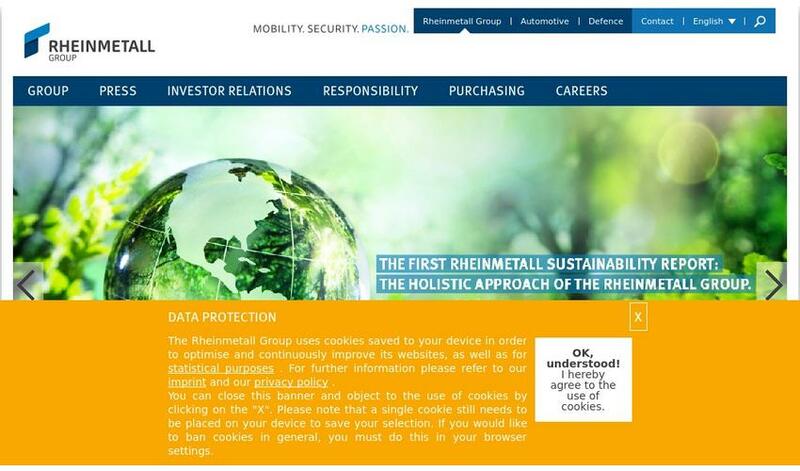 The latest orders underscore once again Rheinmetall's leading role as a supplier of army systems, offering an extensive array of tracked armoured fighting vehicles as well as wheeled tactical and logistic vehicles.